So, just a few days ago, Dialpad went ahead and did something pretty darn interesting. 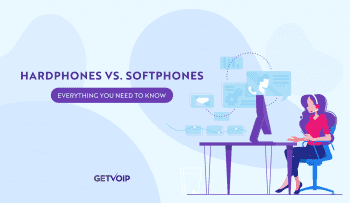 They launched and released a new small business phone system, but one that is unlike many other small business phone systems. 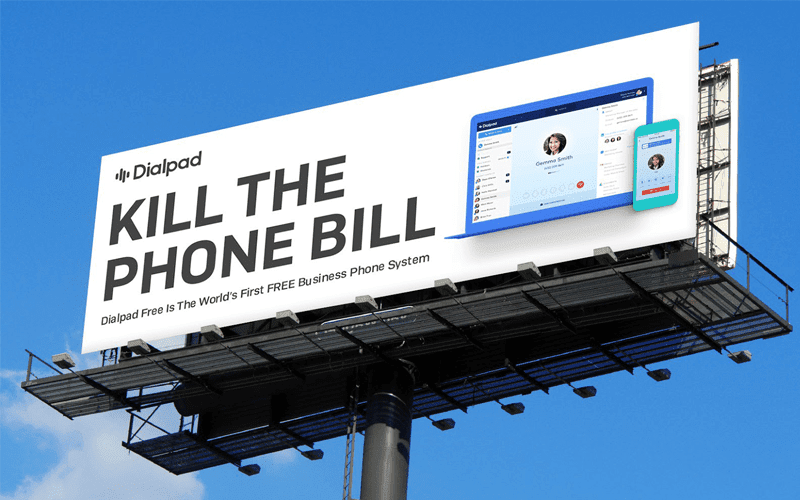 It has all the features you would expect and need from a business phone solution, except Dailpad’s new offering is completely free. That’s right, now the Dialpad pricing structure includes a new free tier, that is no cost, for life. 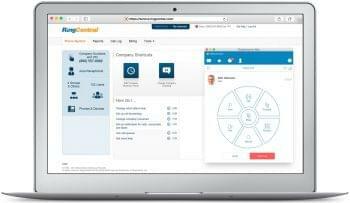 Dubbed Dialpad Free, this move is sure to shake up the market, and open up a completely new opportunity for small businesses to take advantage of all the benefits Business VoIP brings to the table. Except with one even bigger benefit, zero cost. Now Dialpad Free is kind of first of its kind. The closest offering that you can really compare this to would be Google Voice, and for more reasons than you might think at first. 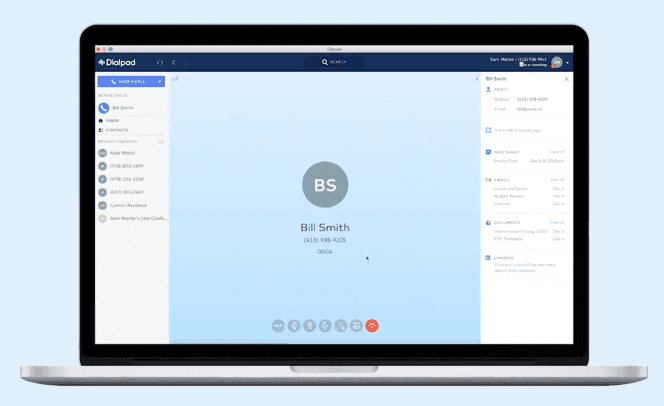 Simply put, Dialpad Free is a free Business VoIP solution for the smallest of businesses, those with no more than five employees. It’s a zero-cost option that brings with it all the great features your business needs to maintain a professional appearance. What’s really awesome is how this plan offers some really powerful features, like screen sharing and even call routing, for the low price of nothing. Now, there are a few limitations to the plan, beyond just support for only 5 employees. Your business only gains one single number, employees can be given extensions, but your plan is also limited to 100 minutes of outbound calling monthly, as well as 100 inbound SMS messages. If you can live within that range, then you’re all set. Now it’s important to note that Dialpad Free is first available to G Suite users in the San Francisco Bay Area, but this should open up shortly. As I said before Google Voice is without a doubt the closest option on the market to compare Dialpad Free to. 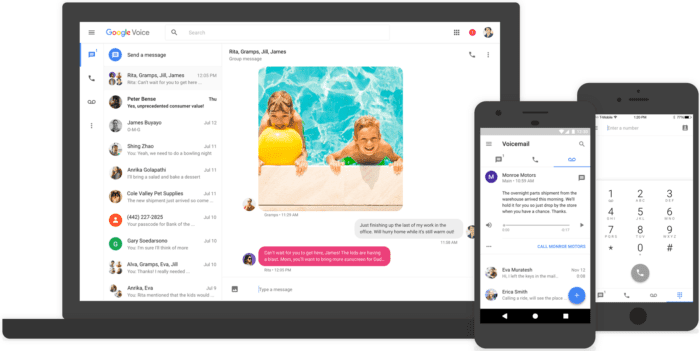 In fact, that’s because Dialpad Co-Founder and CEO Craig Walker, who originally announced the new launch, actually created on what is now known as Google Voice. His team, previously known as GrandCentral, developed the original platform, which Google acquired from the team in 2007. So, with roots in free VoIP services, it makes a lot of sense that the Dialpad team would try something like that again. And without a doubt this is a really interesting move from Dialpad. It makes a lot of sense, in a couple of different ways, as well. Why Offer a Free Plan? First off, like I already mentioned, Dialpad’s team was the one behind Google Voice, so they’ve already done something like this in the past before — offer free VoIP calling to users. However, what’s different this time around is that Dialpad Free is aimed towards small business owners, while Google Voice was originally developed for individual users. Craig even mentioned this in his Medium post discussing the announcement of Dialpad Free. So, they took what they already knew very well, and applied it in a new market. 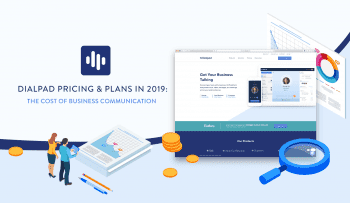 But it wasn’t just a simple case of “well we did it before, let’s just do it again!” There’s actually a really great strategy behind this entire move, and its one we saw before when OnSIP launched a freemium plan of their Business VoIP service. The idea is that by offering the smallest businesses a free way to gain access to your service, you are creating potential customers for if and when their business grows to over 5 employees. Since they’re already using, and are familiar, with your Business VoIP solution, changes are they will simply upgrade to a paid plan. This is in contrast to attempting to entice the large Enterprises with multi-seat contracts — Dialpad is looking down market, as opposed to shooting for the brightest stars upmarket. Again, this is a really interesting move by Dialpad in this constantly evolving market. Unfortunately, its limited to just the Bay Area right now, but I’m curious to see how this takes off if the program is ever expanded. The idea makes a lot of sense, both for the owners of small businesses looking for a cheap and easy way to gain professional calling capabilities, but also for Dialpad as a way to increase their presence and potential customers within the SMB market, especially when the plan includes robust features like call recording, something every business needs. In fact, in his medium post, CEO and Co-founder Craig estimates in that small businesses could save anywhere from $240 to $2400 each year in potential phone charges. Overall, I’m mostly curious to see how the service works, and maybe go hands on to test out what’s possible, and what other limitations there might be. I’m also curious to see how the whole solution works, because if it’s without a solid user experience, then it might not be as enticing as it seems off the bat. If Google Voice is anything to go off of, then Dialpad hopefully hit a home run with this one.